← Online lenders – Threat or promise?! 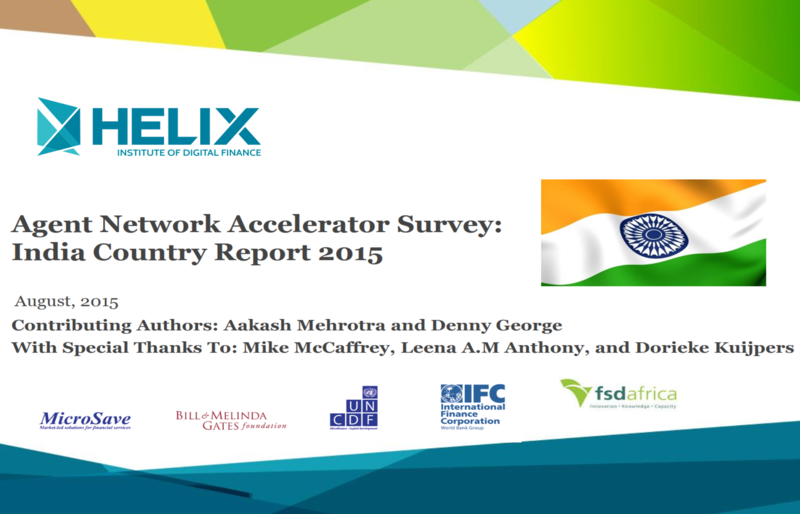 The Helix Institute launched another of their Agent Network Accelerator Surveys. This time on India. For those who do not know them yet, The Helix Institute of Digital Finance, was founded in November 2013 as a partnership between MicroSave, the Bill & Melinda Gates Foundation, the International Finance Corporation (IFC), and the UN Capital Development Fund (UNCDF). In Addition to world-class Training, they also conduct cutting-edge Research on digital financial service Providers and I suggest you should definitely check out their blog and the discussion it generates on LinkedIn. The Research was based on 2,682 nationally representative agent interviews, of which 77% in rural -, 15% in other urban, and 8% in Metro Areas. Agent network model: Of the interviewed agents, 18% were agents of mobile Network Operators (MNOs), 17% were directly managed by the bank they work for, and 65% were managed via Network Managers. Both exclusivity and dedication are extremely high in India when compared to other ANA Surveys. Exclusivity: Eighty-nine percent (!!) of interviewed agents were exclusive agents, i.e., working only for one Provider (Close to the 87% in Kenya), and 11% were non-exclusive. For example in Bangledesh and Pakistan only 44% and 34% respectively are exclusive. Dedication: Sixty-seven percent of agents were dedicated (Close to the 70% in Tanzania), i.e., they only provide transaction services, but do not have their own adjacent Business. Thirty-three percent were non-dedicated. In Bangladesh and Pakistan, only 4% and 23% respectively are dedicated agents. The vast majority of agents (79%) work for public sector Banks, and primarily SBI. In rural areas, even 88% of agents worked for public sector banks. Twenty-two percent of agents were mobile agents. Transaction volumes are low when compared to other countries. With only Pakistan being lower, all other countries (Bangladesh, Kenya, Tanzania, Uganda) have more number of Transactions happening at the agent. 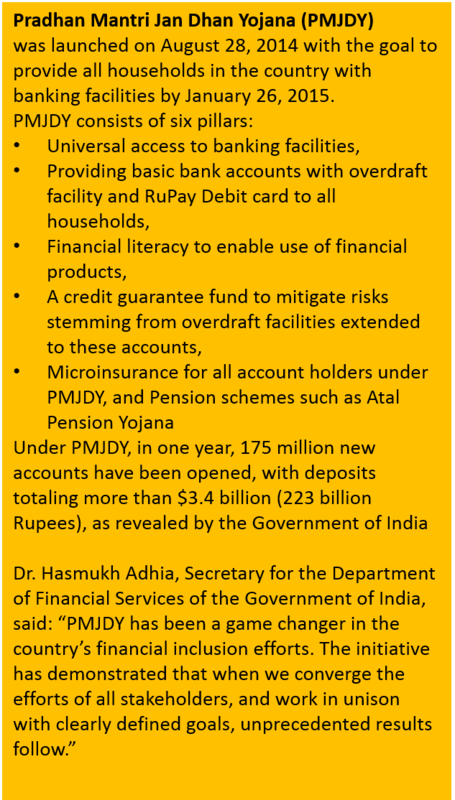 These numbers even include transactions for the Pradhan Mantri Jan Dhan Yojana (PMJDY) government program. Please see the box on the right for more information on PMJDY. A large number of agents make losses. Agent earn a median of less than USD2 a day, which proves complicated especially considering the large number of dedicated agents. Twenty-four percent of agents receive fixed monthly component from service providers (around USD55). One might conclude large numbers of dormant agents or high Dropout rates. However, recent MicroSave Research suggests that these are still low at 20%. Agents in Metro Areas make significantly higher profits probably due to higher Transaction volumes of domestic remittances. Agents offering credit and/or insurance earn highest revenues but are fewer in number. Only 7% and 10% of agents offer these products. Earnings for agents offering G2P payments were the lowest, reflecting the low commissions paid on G2P payments. Operating expenses are high in India. Rent, electricity, and travel expenses for liquidity management constitute the bulk of operational expenses for agents, one reason being that agents in India are primarily dedicated agents which have to allocate full cost of the outlet to the agency business. 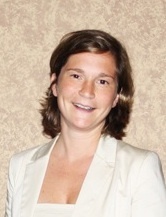 Agents seem to lack confidence that they have the necessary Support to resolve customer concerns. 52% of agents reported that their providers’ Marketing activity was ineffective in generating awareness about digital financial Services. Ok, as with all blogs I cannot write about everything. So above you find the main conclusions and results but it would be even better if you just had a look yourself at the pdf. 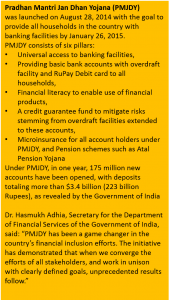 In Addition to the Helix ANA Report, I found a blog post “Building India’s Model of Agent Banking“, CGAP had launched in June 2012. AT the time, CGAP had just conducted a national survey to capture “big picture on agents across the country.” The use of customer service Points (CSPs), i.e., banking agents, was in 2012 still new in India although there were about 80,000 such points nationally. The expansion at that time meant most CSPs had been operating for less than 24 months. In the Helix ANA, it is said that “more than half of agents have been operating less than two years.” i.e, it Looks asif the agent netowrk also turns over quite quickly. This entry was posted in Allgemein and tagged access to finance, ADC, banking agents, digital financial services, mobile banking. Bookmark the permalink.